Please note, ALL patients that are 60 years and over MUST be on a form of Stomach Protection medication prior to our Doctors prescribing medication. 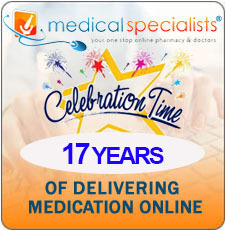 This can be Lansoprazole, Omeprazole, Nexium Control (over the counter), Zantac (over the counter), Ranitidine (over the counter) AND for it to be listed within your online consultation. 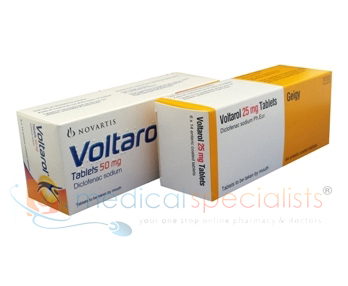 Voltarol is a prescription drug and contains the active ingredient Diclofenac Potassium, which works by blocking the action of a substance in the body called cyclo-oxygenase (COX). Cyclo-oxygenase is involved in the production of various chemicals in the body, some of which are known as prostaglandins. Prostaglandins are produced by the body in response to injury and certain diseases and conditions, and cause pain, swelling and inflammation..
Do you suffer from any stomach or bowel disorders including ulcerative colitis or Crohn's disease? Do you have kidney or liver problems, or are you elderly? Do you have a condition called porphyria? Do you suffer from any blood or bleeding disorder? If you do, your doctor may ask you to go for regular check-ups while you are taking these tablets. Do you have heart problems, or have you had a stroke, or do you think you might be at risk of these conditions (for example, if you have high blood pressure, diabetes or high cholesterol or are a smoker)? Do you have Lupus (SLE) or any similar condition? If the answer to any of these questions is YES, discuss your treatment with your doctor or pharmacist because Voltarol Tablets might not be the right medicine for you. How should you take ? 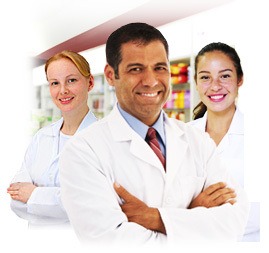 Where can I buy Voltarol online? You can buy Voltarol online with or without a prescription at Medical Specialists, after completing a simple online consultation. Just complete an online consultation by clicking the orange button above. 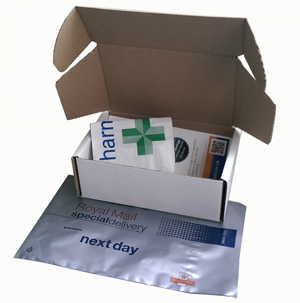 We are the UK’s leading supplier of pain killer medication, and Voltarol for sale in the UK. For full patient information, please read or print out the leaflet provided at the bottom of this page about Voltarol. Voltarol is suitable for most people, but, like all medicines, they can sometimes cause Side Effects. An unexpected change in the amount of urine produced and/or its appearance. If you notice that you are bruising more easily than usual or have frequent sore throats or infections, tell your doctor. The Side Effects listed below have also been reported. Raised levels of liver enzymes in the blood. Liver function disorders, including hepatitis and jaundice. Tingling or numbness in the fingers, tremor, visual disturbances such as blurred vision, blurred or double vision, hearing loss or impairment, tinnitus (ringing in the ears), sleeplessness, nightmares, mood changes, depression, anxiety, mental disorders, disorientation and loss of memory, fits, headaches together with a dislike of bright lights, fever and a stiff neck, disturbances in sensation. Constipation, inflammation of the tongue, mouth ulcers, inflammation of the inside of the mouth or lips, taste changes, lower gut disorders (including inflammation of the colon or worsening of ulcerative colitis or Crohn’s disease). Palpitations (fast or irregular heart beat), chest pain, hypertension (high blood pressure), inflammation of blood vessels (vasculitis), inflammation of the lung (pneumonitis), heart disorders, including congestive heart failure, or heart attack, blood disorders (including anaemia). 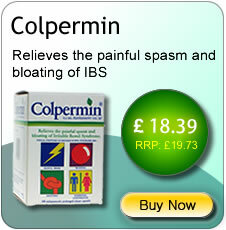 Kidney or severe liver disorders including liver failure, presence of blood or protein in the urine. Effects on skin or hair: Serious skin rashes including Stevens-Johnson syndrome and Lyell’s syndrome and other skin rashes which may be made worse by exposure to sunlight. Hair loss. Inflammation of the pancreas, impotence. Facial swelling, inflammation of the lining of the brain (meningitis), stroke, throat disorders, confusion, hallucinations, malaise (general feeling of discomfort), inflammation of the nerves of the eye. 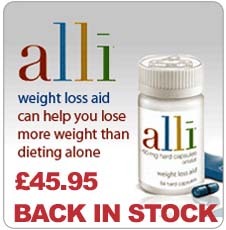 Do not be alarmed by this list – most people take Voltarol Tablets without any problems. If any of the symptoms become troublesome, or if you notice anything else not mentioned here, please go and see your doctor. He/she may want to give you a different medicine. Can you take Voltarol with other medicines? Some medicines can interfere with your treatment. Medicines used to treat heart conditions or high blood pressure, for example beta- blockers or ACE inhibitors. Voriconazole (a medicine used to treat fungal infections). Colestipol/cholestyramine (used to lower cholesterol). Always tell your doctor or pharmacist about all the medicines you are taking. 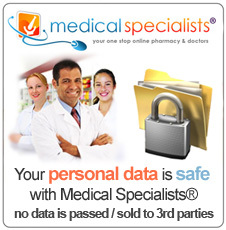 This means medicines you have bought yourself as well as medicines on prescription from your doctor. Are you pregnant or planning to become pregnant? Although not common, abnormalities have been reported in babies whose mothers have taken NSAIDs during pregnancy. You should not take Voltarol Tablets during the last 3 months of pregnancy as it may affect the baby’s circulation. Are you trying for a baby? Taking Voltarol Tablets may make it more difficult to conceive. You should talk to your doctor if you are planning to become pregnant, or if you have problems getting pregnant. Will there be any problems with driving or using machinery? Very occasionally people have reported that Voltarol Tablets have made them feel dizzy, tired or sleepy. Problems with eyesight have also been reported. If you are affected in this way, you should not drive or operate machinery. You should take the lowest dose of Voltarol for the shortest possible time, particularly if you are underweight or elderly. There is a small increased risk of heart attack or stroke when you are taking any medicine like Voltarol. The risk is higher if you are taking high doses for a long time. Always follow the doctor’s instructions on how much to take and how long to take it for. Whilst you are taking these medicines your doctor may want to give you a check up from time to time. If you have a history of stomach problems when you are taking NSAIDs, particularly if you are elderly, you must tell your doctor straight away if you notice any unusual symptoms. Because it is an anti-inflammatory medicine, Voltarol may reduce the symptoms of infection, for example, headache and high temperature. If you feel unwell and need to see a doctor, remember to tell him or her that you are taking Voltarol. The 50 mg tablets are not suitable for children aged under 12.